the window of our sunroom. How sweet to help your granddaughter knit a sweater for her doll. I have six granddaughters, and we are in the throws of weddings, return travels back to college after winter break. I love my girls and enjoy watching them become fabulous women. Also on a weather note. We are enjoying a rainy day. After a summer of smoke and disaster from the Carr and Camp fires in Northern California, it's lovely to sit and listen to the rain. 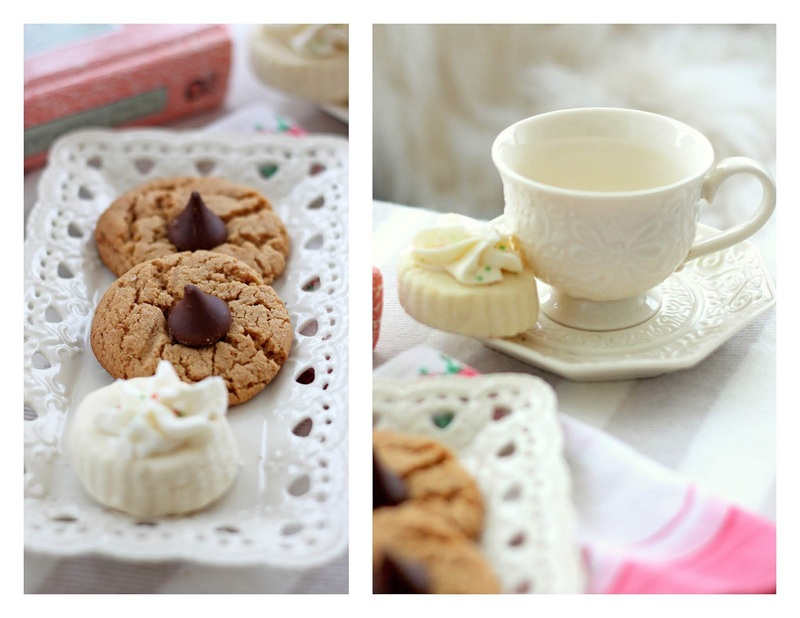 Lovely day to be inside knitting and baking! Sounds as if half the continent had snow today. 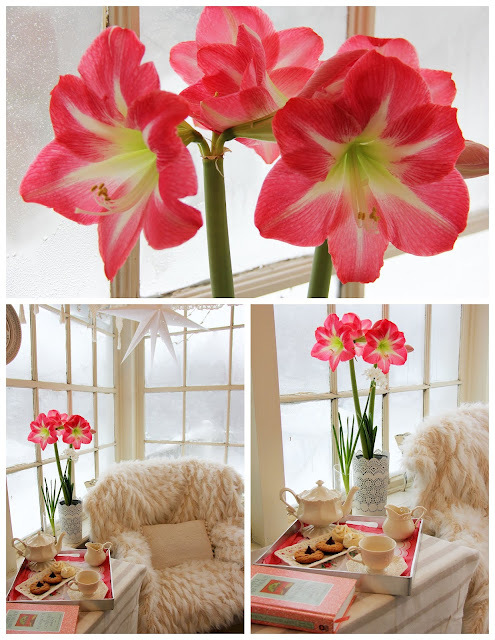 What a cozy spot and your amaryllis is beautiful. What lovely colours in the flowers. I always look forward to your posts and photo's. Even when my day is hectic and cluttered with puppy toys, I get an idea on how to dress my space. We have had no snow accumulation in Western Pennsylvania so far this year, a flurry now and then. But it is now cold, more like our normal Winter. 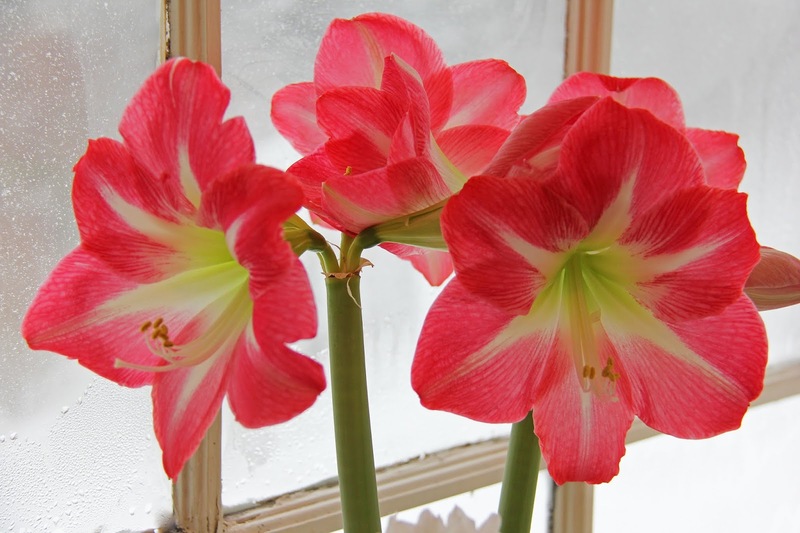 Love your blooms. So happy to see the sharing of skills and crafts. Knitting is such a lovely craft to learn. I am on a personal mission to pass on what I know to the next generation. I am a quilter. Have a lovely day, stay warm! 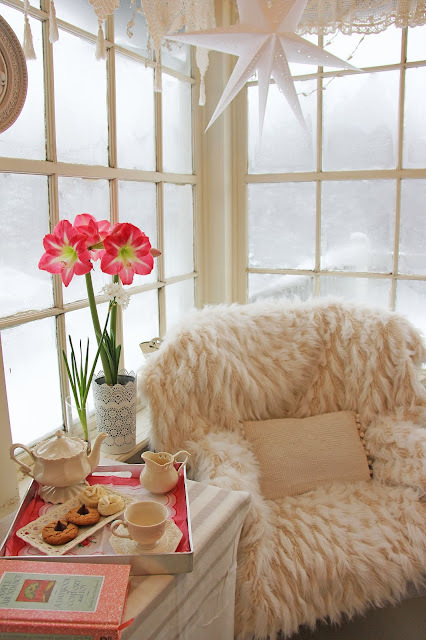 Oh so cozy and beautiful! So beautiful against the snowy background!